Yes Indeed! This maximizer was the answer to MY PROBLEM 4 thumbs UP! 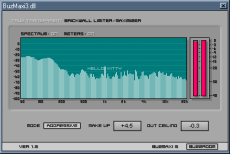 A very efficient VST, this limiter works great if not pushed too hard. 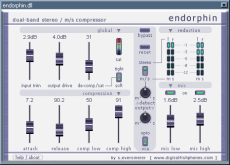 With Endorphin you have a dual band compressor limiter VST. With nice saturation algo. This VST is still one of the best for limiting. Just try the "Loud and Punchy" preset on a drum track. It's HUGE !!!! I really like the Deep m/s Compression on Vocals. =] smooth. Best free VST limiter ? Best VST effects to use with Wavosaur ?